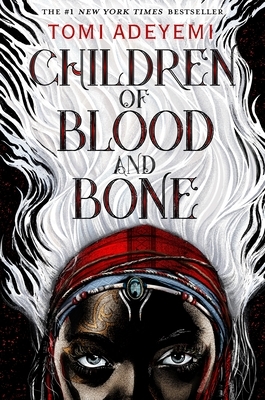 With five starred reviews, Tomi Adeyemi’s West African-inspired fantasy debut, and instant #1 New York Times Bestseller, conjures a world of magic and danger, perfect for fans of Leigh Bardugo and Sabaa Tahir. They tried to bury us. Zélie Adebola remembers when the soil of Orïsha hummed with magic. Burners ignited flames, Tiders beckoned waves, and Zélie’s Reaper mother summoned forth souls. But everything changed the night magic disappeared. Under the orders of a ruthless king, maji were killed, leaving Zélie without a mother and her people without hope. Now Zélie has one chance to bring back magic and strike against the monarchy. With the help of a rogue princess, Zélie must outwit and outrun the crown prince, who is hell-bent on eradicating magic for good. Danger lurks in Orïsha, where snow leoponaires prowl and vengeful spirits wait in the waters. Yet the greatest danger may be Zélie herself as she struggles to control her powers and her growing feelings for an enemy. Tomi Adeyemi is the #1 New York Times-bestselling Nigerian-American author of Children of Blood and Bone. After graduating Harvard University with an honors degree in English literature, she received a fellowship to study West African mythology, religion, and culture in Salvador, Brazil. When she’s not working on her novels or watching BTS music videos, she can be found blogging and teaching creative writing on her website. She lives in San Diego, California.